Last week we launched over 400 ForeFlight-generated, geo-referenced airport diagrams as part of a mid-cycle 1404 data update. These new diagrams provide situational awareness at airports that would not otherwise have this type of information available. At unfamiliar destinations, large or small, we find it helpful to have ownship position as a tool for navigating on the ground. Especially at night. 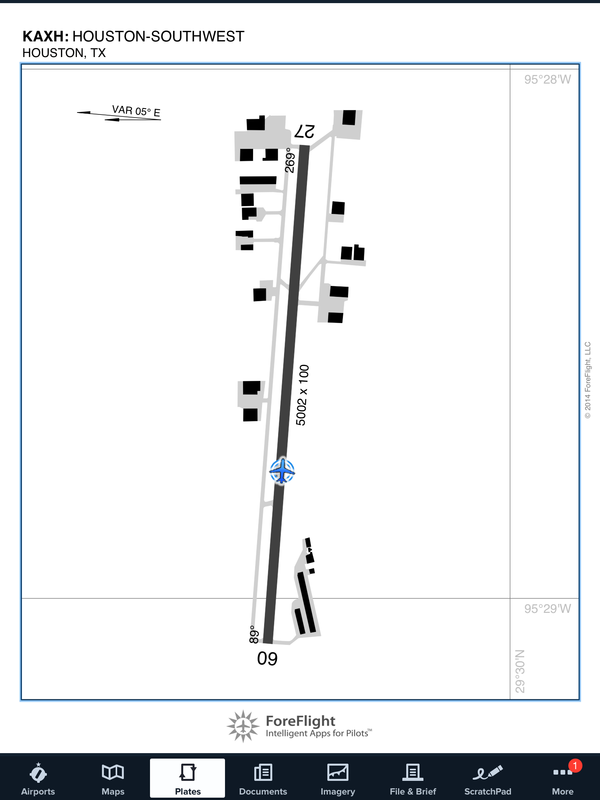 ForeFlight airport diagrams are geo-referenced for position overlay, a ForeFlight Mobile Pro feature. In addition to geo-referencing, the diagrams integrate with all of the existing ForeFlight features like plates on maps, annotations, runway proximity advisor alerts, and the auto-display of the diagram upon landing. ForeFlight Airport Diagrams overlaid on the maps view are helpful for planning your pattern entry. The diagram for Lumberton, NC shows annotations, a ForeFlight Mobile Pro feature. The runway proximity advisor alerts you when entering a runway. The runway proximity advisor is a setting in the More view. 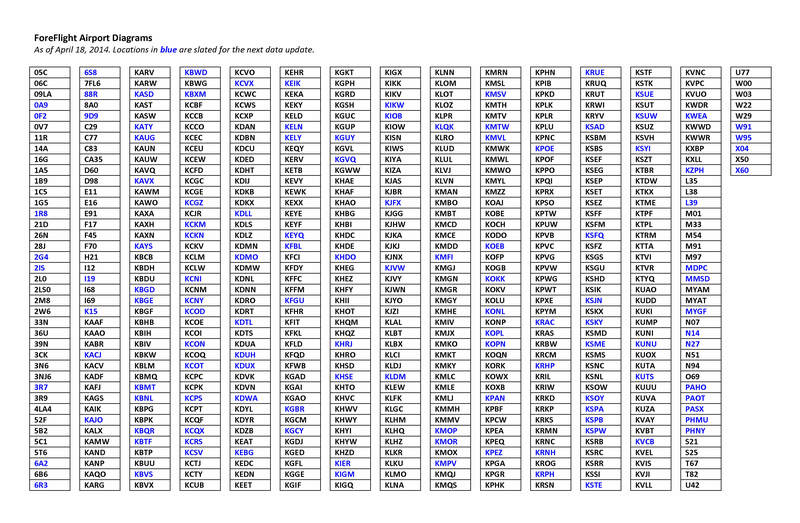 Here is the current ForeFlight Airport Diagram list. Locations in blue are slated for the upcoming May 1 data cycle (1405). The order of creating diagrams for locations is modified if we have a reason to bump up the priority such as lots of requests for a specific airport or an upcoming fly-in. If you don’t see your airport listed, be sure to tell us to #ForeFlightMyAirport on Twitter or Facebook and we will adjust its priority for upcoming database updates (don’t forget to include the airport identifier). Lots of improvements are planned and we’ll be sweeping back through each location to add taxi labels where applicable and other layers of information. Please note that ForeFlight Airport Diagrams require ForeFlight Mobile 6 or higher. As always, we encourage your feedback at team@foreflight.com. This entry was posted in ForeFlight Mobile and tagged airport, airport diagrams, charts, foreflight, ForeFlight Mobile by ForeFlight. Bookmark the permalink.